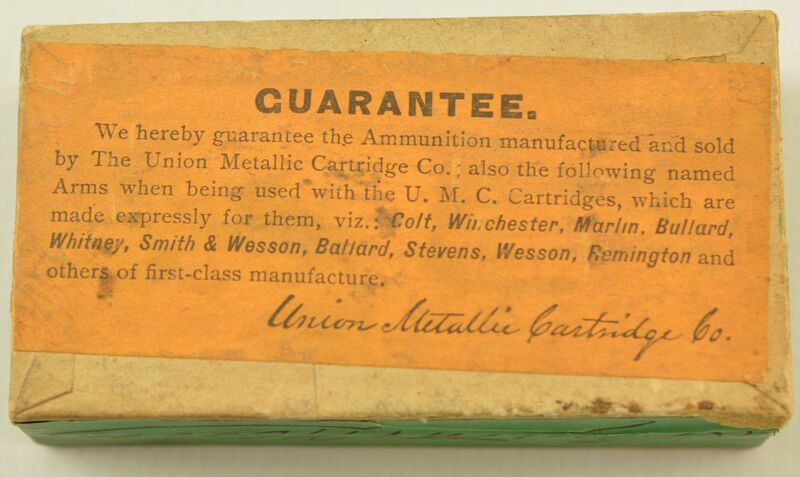 Description: A scarce box of cartridges for a very scarce Smith & Wesson revolver. The new model number three target revolver was built from 1887 to 1910. 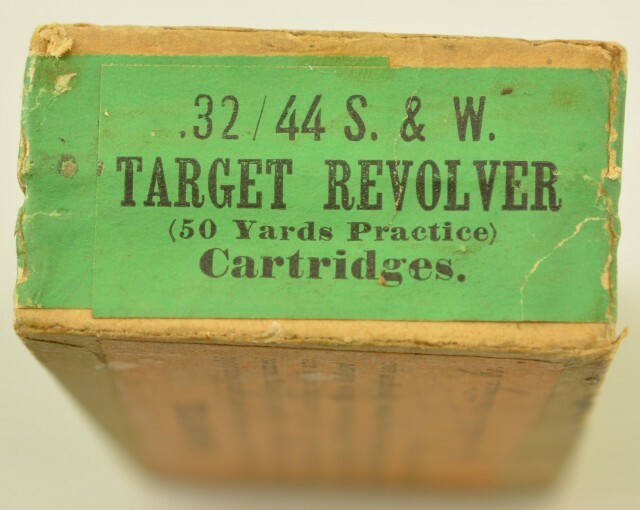 There were only 2930 built in 32/44 caliber. A sealed box of U.M.C. 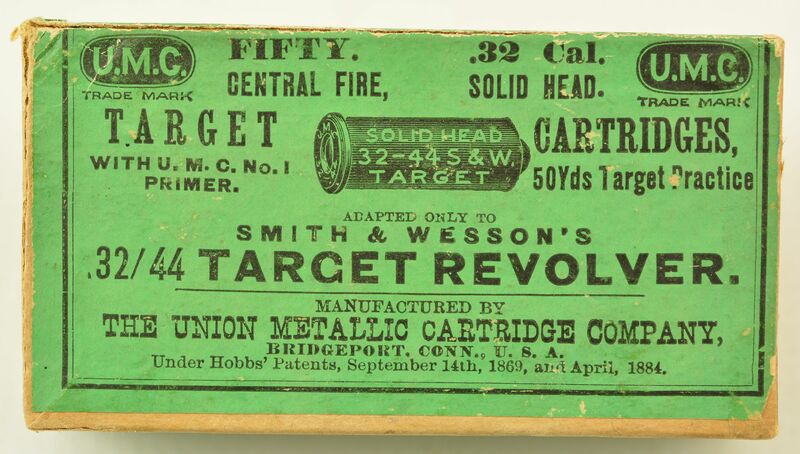 target cartridges for this Smith & Wesson. This box remains in excellent plus condition with all labels intact. The top shows the graphics of the cartridges and the call-out for the target revolver. 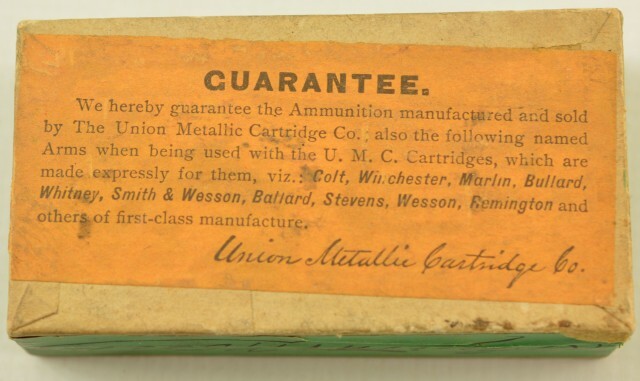 This UMC box was prior to the Remington merger. 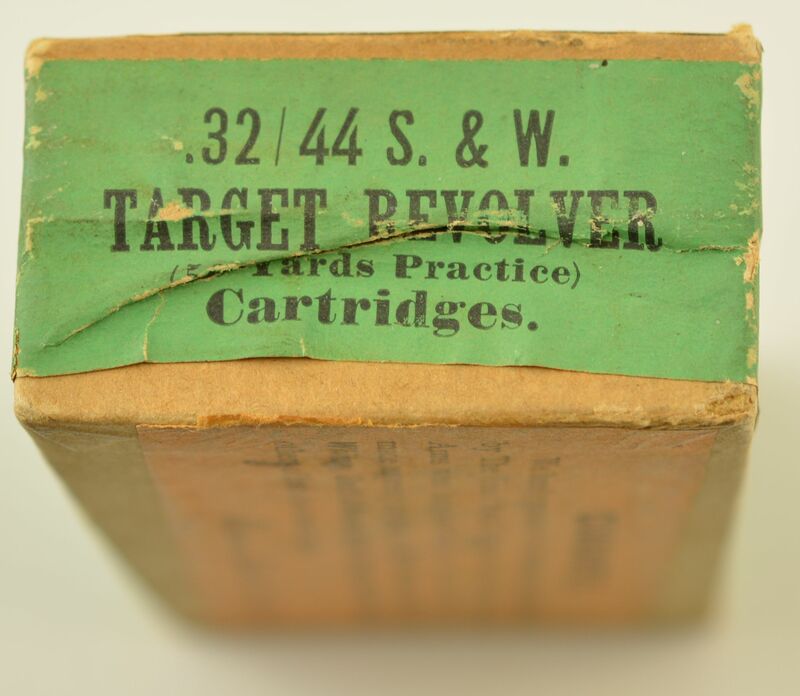 The back label notes the cartridges were built for 50 yards practice and expressly built for the 32/44 target revolver. Due to the age there is some slight edge separation but the seals are fully intact. A great display piece with the S&W revolver.